Yamaha Motor made its initial foray into India in 1985 as a joint-venture. 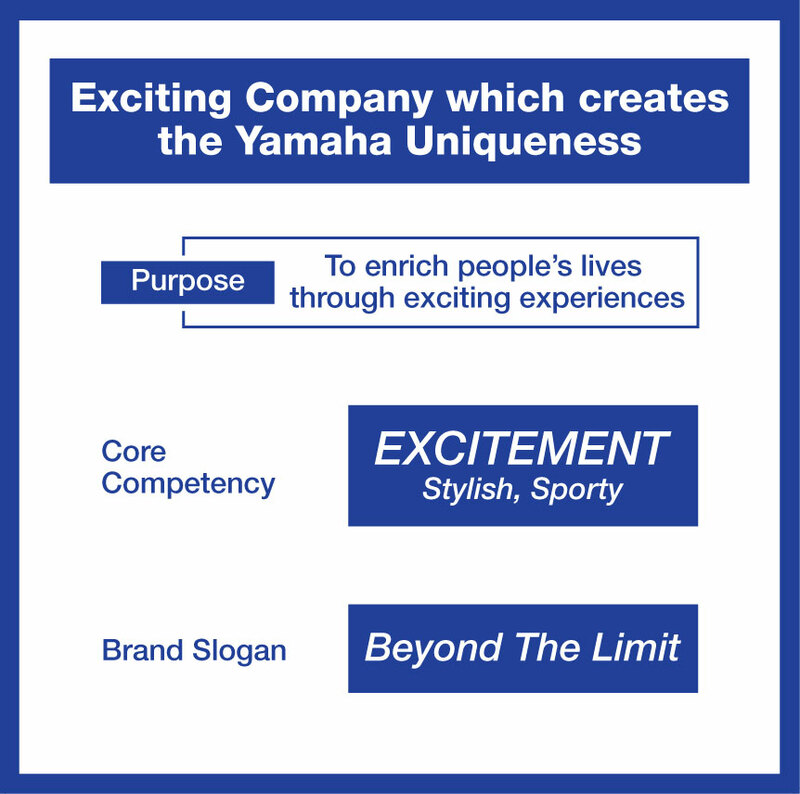 In August 2001, it became a 100% subsidiary of Yamaha Motor Co., Ltd, Japan (YMC). In 2008, Mitsui & Co. Ltd. entered into an agreement with YMC to become a joint-investor in India Yamaha Motor Private Limited (IYM). IYM's manufacturing facilities comprise of 3 State-of-the-art Plants at Surajpur (Uttar Pradesh), Faridabad (Haryana) and Kanchipuram (Tamil Nadu). The infrastructure at these plants supports production of two-wheelers and parts for the domestic as well as overseas markets. IYM is highly customer-driven and has a country-wide network of over 2,200 customer touch-points including 500 dealers. Presently, its product portfolio includes Sports model YZF-R3 (321 cc), YZF-R15 version 3.0 (155 cc), YZF-R15 S (149 cc); Blue-Core Technology enabled models such as FZ 25 (249 cc), Fazer 25 (249 cc), FZ-S FI (Fuel-Injected, 149 cc), FZ FI (Fuel-Injected, 149 cc), Fazer FI (Fuel-Injected, 149 cc), SZ-RR version 2.0 (149 cc), Saluto (125 cc), Saluto RX (110 cc), Cygnus Ray-ZR (113 cc), Fascino (113 cc), Cygnus Alpha (113 cc), Cygnus Ray Z (113 cc); latest superbike MT-09 (847 cc) and YZF-R1 (998 cc). Yamaha Motor India Pvt. Ltd. (YMI) is a 100% subsidiary of YMC and functions as the regional headquarters and corporate control body of India business operations for YMC. YMI is responsible for Corporate Planning & Strategy, Business Planning & Business Expansion and Quality & Compliance Assurance of Yamaha India Business. Yamaha Motor India Sales Pvt. Ltd. (YMIS) is a 100% subsidiary of YMC and supports IYM to market and sell its motorcycles & scooters in domestic as well as export markets. Yamaha Motor Research & Development India Pvt. Ltd. (YMRI) is a 100% subsidiary of YMC and has been established by YMC to provide R&D and Product development services to IYM for its domestic as well as export markets. YMRI is the fifth overseas R&D headquarters for Yamaha Motor Group following Italy, Taiwan, China, and Thailand.